Samsung's Galaxy S8 flagship raises the bar for smartphones thanks to its eye-popping display, attractive design, and blistering performance. This Android handset impresses in nearly every way. It may be a pricey piece of hardware, but there's no denying just how good a job Samsung has done with this phone. Here is Phone Scoop's in-depth review. Samsung's Galaxy S smartphones are the company's flagship devices. These phones set the bar for the industry, often pushing the boundaries of technology and design. The Galaxy S8 masterfully combines function and form in a way no other phone company has yet been able to achieve. The Galaxy S8 is for those who want the best of the best, and are willing to pay for it. The Galaxy S8 is a generational leap forward, not only for Samsung, but for all phones. 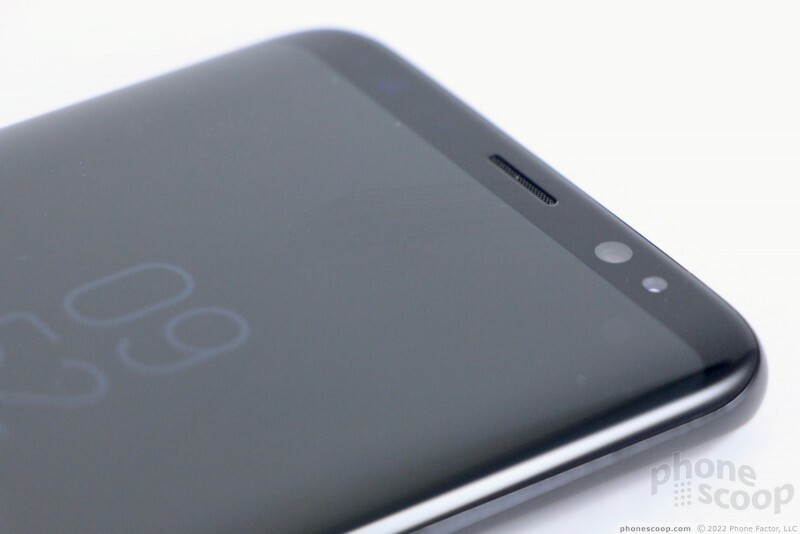 Many aspects of the S8's design signal a new path that the rest of the industry will be forced to follow in order to remain relevant. That's what it is to be a market leader, to push boundaries — real and imagined — in a way that challenges everyone. The result of Samsung's hard work is a stunning piece of technology. Samsung managed to mix evolution and revolution such that the S8 feels familiar, yet entirely new. 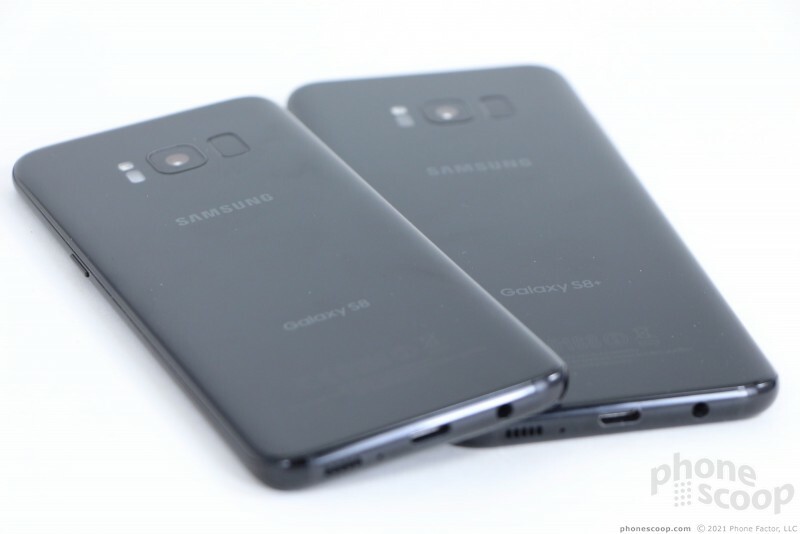 The Galaxy S6 saw Samsung break from its plastic past for metal and glass. 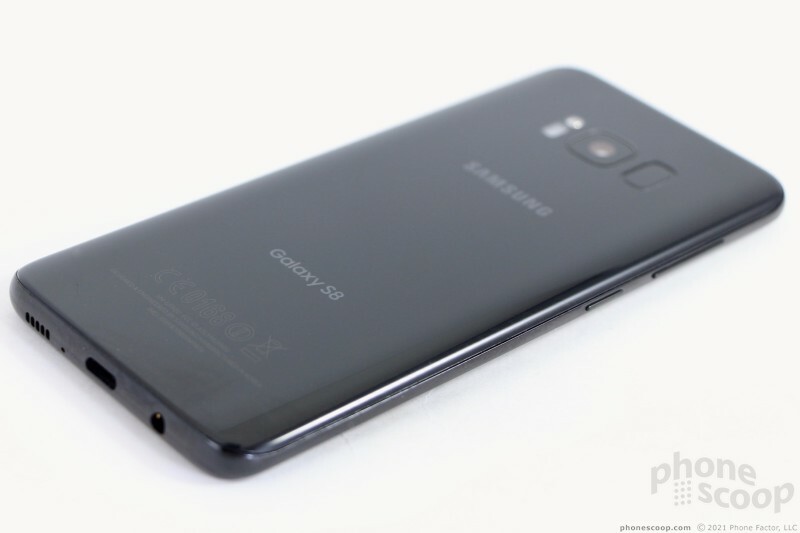 Samsung refined that design aesthetic in the highly appealing 2016 Galaxy S7. The S8 takes the metal and glass build of the S7 and smooths out all the rough edges. The glass surfaces of the S8 curve and flow into the metal frame seamlessly. More so than any phone I've used thus far, the S8 feels like a singular unit rather than an amalgamation of parts. The metal frame is visually indistinguishable from the glass around it on our black review unit thanks to a matching, shiny finish. The uniformity of the shape, the thin profile, the luscious materials all contribute in making the S8 something to lust after. 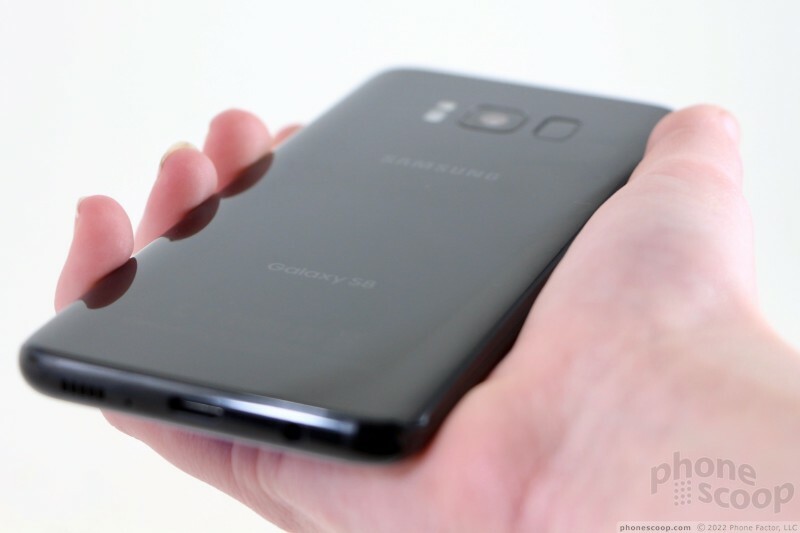 The S8's tall shape does take some getting used to. It can be difficult to reach the top of the screen with your thumb; you might find yourself juggling the phone in your grasp a bit. I found I adjusted to the shape after a few days. The majority of people, including those with smaller hands, will be able to use this phone comfortably. You'll be hard-pressed to find a more finely built handset than the S8. Samsung selected high-quality Gorilla glass and strong aluminum, and pieced them together flawlessly. The seams between metal and glass are practically nonexistent. Samsung has mastered the art of curved glass. The Galaxy S8 is an expert vision in design, materials, and manufacturing. 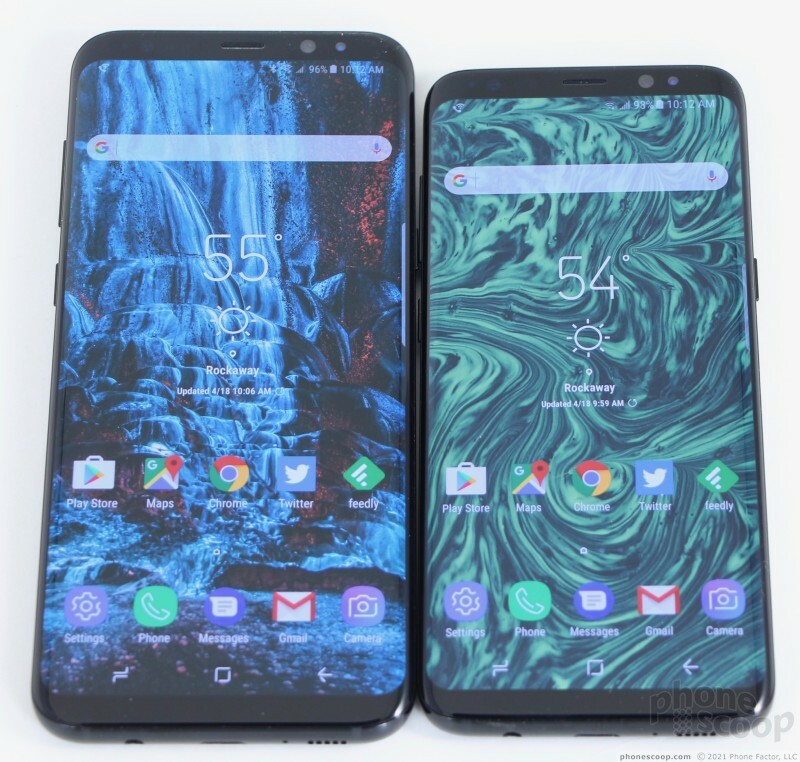 Samsung's marketing team conjured the term "Infinity Display" for the S8's front face, and the experience is wholly different from past Galaxy S handsets. 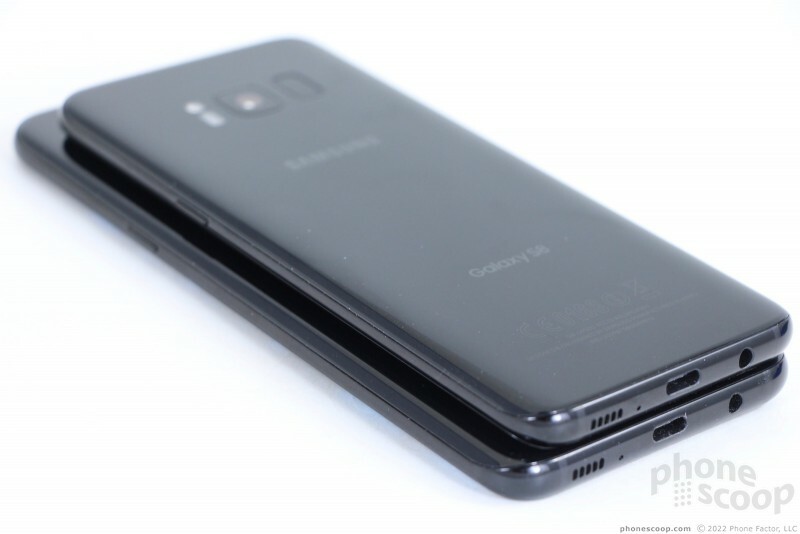 Bezels above and below the display are all but gone on the S8; the phone's face is nearly all screen. Samsung practically eliminated the side bezels thanks to the curved screen. 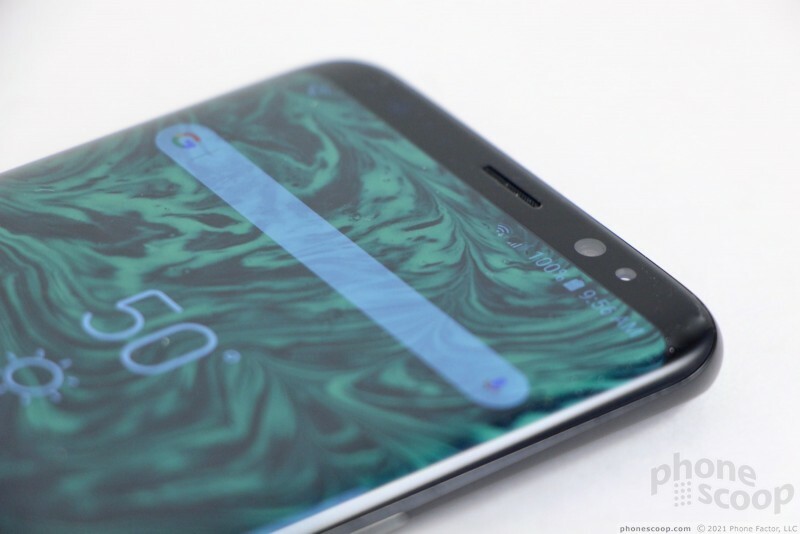 The bezels above and below the screen are minimal. I dig it big time. With no interruptions to the glass, the front face is left entirely smooth. 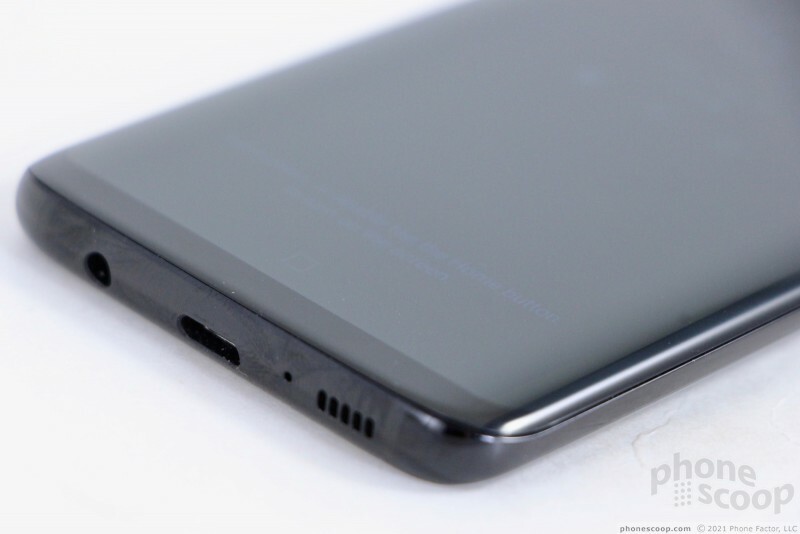 The earpiece grille is almost invisible. Your eyes might find the user-facing camera and iris reader easily, but two sensors also located above the screen are nearly impossible to spot in the black glass. (All colors have a black front, to enhance the display design.) 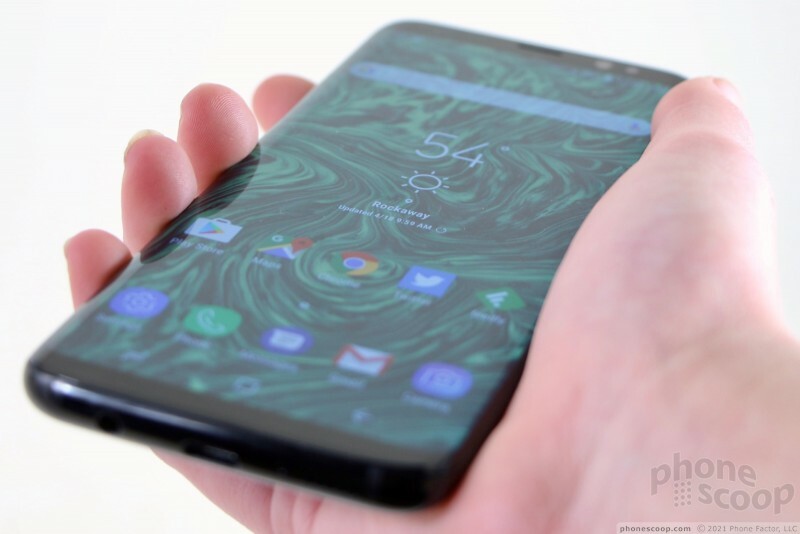 Samsung didn't even bother to cram its logo anywhere on the front face; that's how committed it is to the notion of the Infinity Display and the uninterrupted experience it presents. I love the way the slim metal frame wraps around the outer edges of the phone. The frame is only a couple of millimeters thick along the sides, but it swells up at the top and bottom. You may notice some antenna lines, but they are color-matched fairly well. 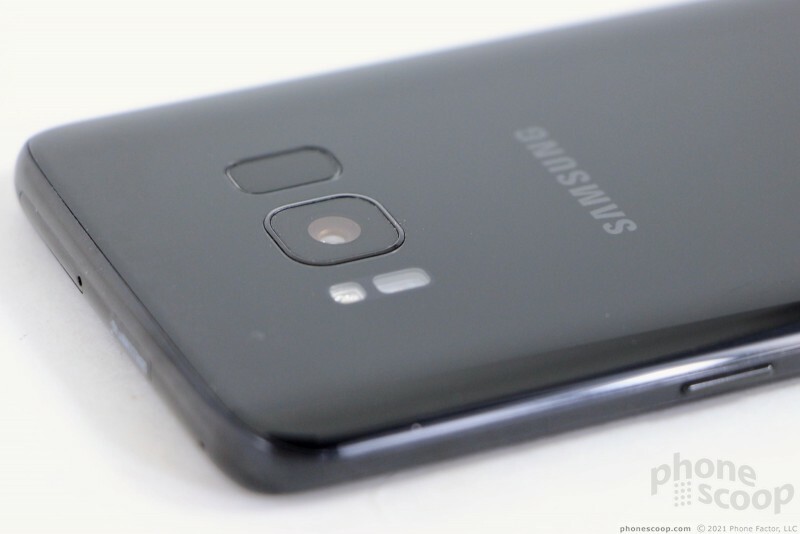 Two buttons are located along the S8's left edge. The top button is the volume toggle. It's only about an inch long, which makes it a bit too easy to accidentally press up when you mean to press down, and vice versa. The second button is dedicated to Samsung's Bixby personal assistant tool. 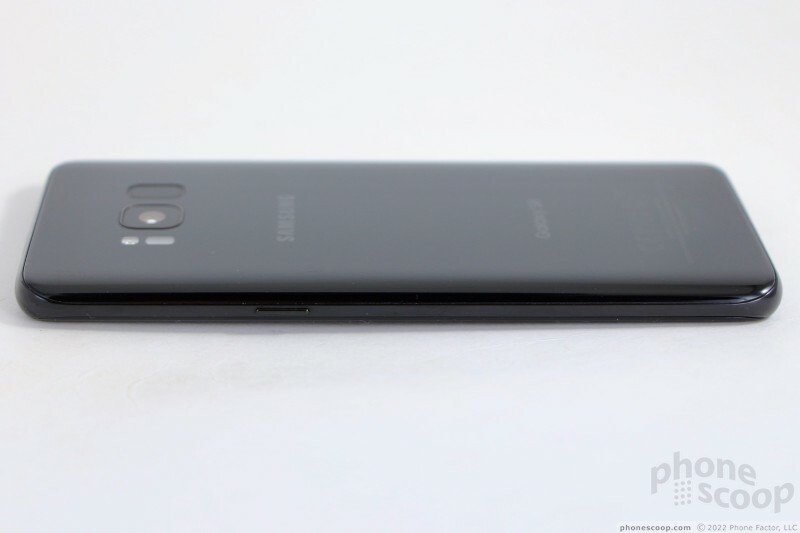 The lock button is where you expect it to be, on the S8's right edge. All of the side buttons have an excellent profile, and perfect travel and feedback. 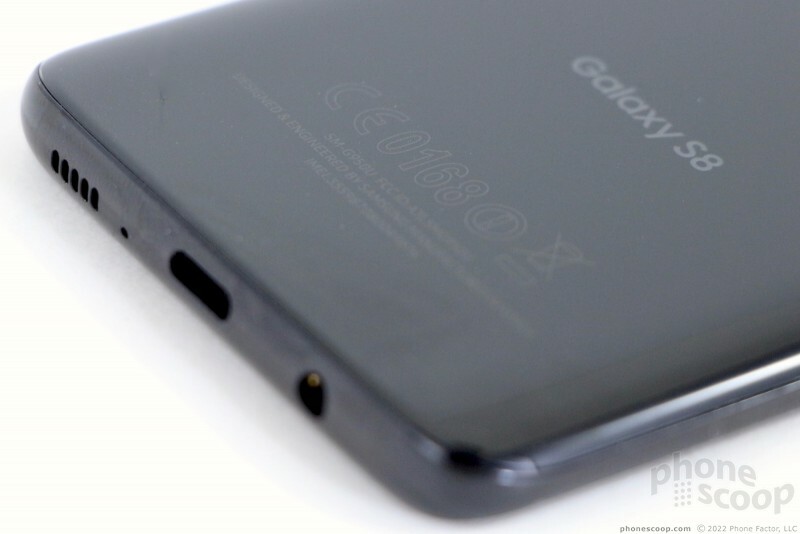 Samsung tucked the nano SIM and microSD memory card tray in the phone's top edge. A tool or paperclip ejects the tray, which accommodates one of each type of card. Thank goodness the S8 makes the jump to the superior USB-C connector. (Last year's Galaxy S7 perplexingly stuck with the older microUSB.) 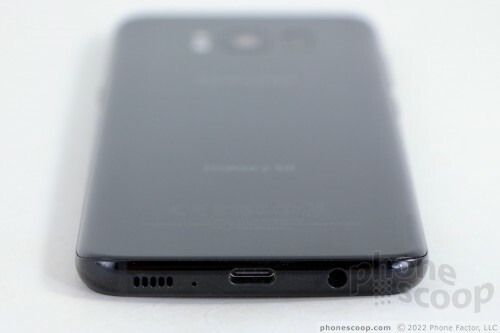 For many people upgrading from older Galaxy S phones to the S8, the USB-C port will be a change that may require some new cables and/or accessories. Be prepared. 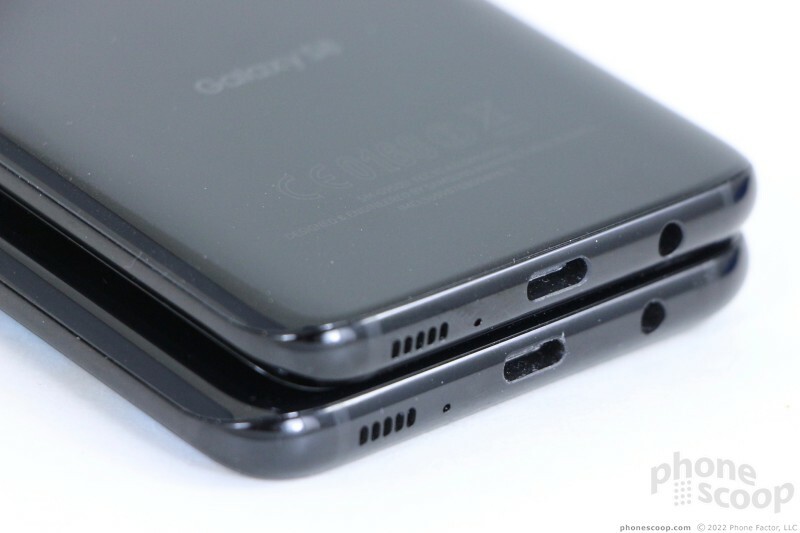 Samsung also squeezed a standard 3.5mm headset jack and the speakerphone onto the S8's bottom edge. The headphone jack is nice to have, considering some flagships (iPhone 7, Moto Z, U Ultra) dropped it. 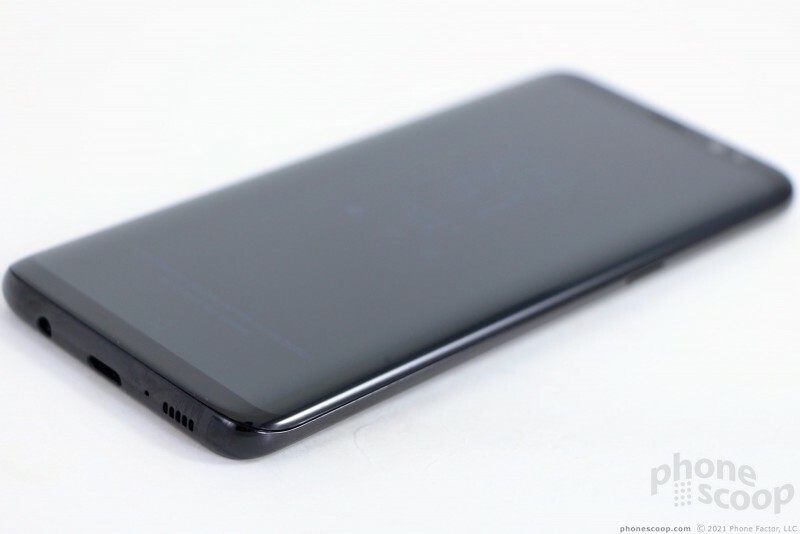 Like the front, the S8's rear panel is nearly all uninterrupted glass. One bummer: it's prone to fingerprints. We're talking Fingerprint City here. If you leave it exposed, you'll find yourself wiping oily grime off the back constantly. I'm glad Samsung was able to set the camera module flush with the rear surface (it protruded on the S7). The flash and heart rate monitor are off to the left of the camera, also flush with the surface. Then there's the fingerprint reader, which is placed immediately to the right of the camera module. If there's one major design flaw in the Galaxy S8, this is it. I'll tell you why. Nearly all phones with a rear-mounted fingerprint reader have them in the same spot: in the middle of the phone, below the camera sensor. It's a natural place for your index finger to rest. 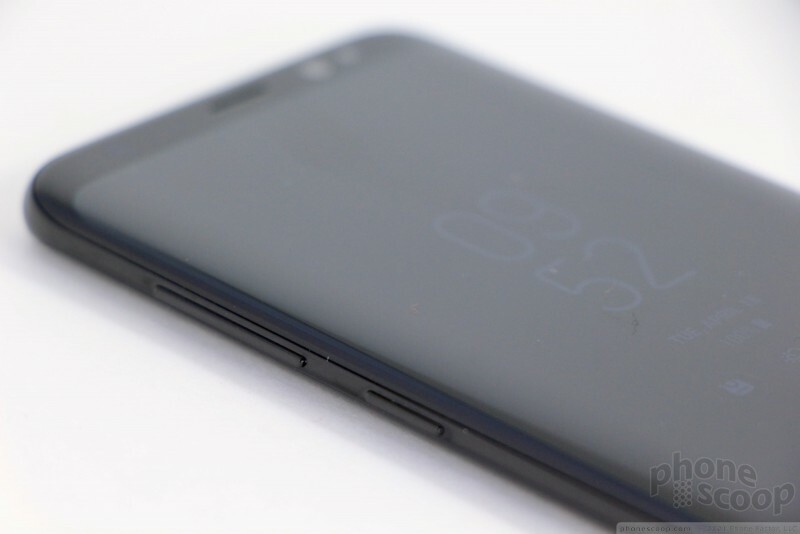 The S8 screws with this familiarity but putting the fingerprint reader too high, and too far to the right. It can be hard to reach and tricky to find. Moreover, its proximity to the camera module more or less ensures you're going to get fingerprints all over the lens, hurting photo quality. This is such an issue — and Samsung knows it — that the camera app regularly reminds you to wipe the lens clean. This issue is exacerbated if you're lefty. Despite these gripes, I found I was able to adjust to the fingerprint reader's positioning after a few days. The S8 is small enough that it's not that hard to reach the sensor to unlock the phone. Notably, using a case makes the fingerprint reader much easier to find. Like the Galaxy S7 (and iPhone 7 and G6), the S8 is rated IP68 for protection against water, dust, dirt, and sand. Technically, it can sit in 1.5 meters (~5 feet) of water for up to 30 minutes with no worries. I tested that, and found it handled running water, a bath, and other wet abuse just fine. Waterproofing is now a table-stakes feature, and Samsung has implemented it well. Durability is another matter. The phone may be protected by Gorilla Glass 5, but dual curved glass surfaces mean the phone is twice as likely to shatter when dropped. Putting a case on a phone this pretty is a crime akin to covering a Porsche in armor plating. Alas, this pricey technology investment may warrant a case. The Galaxy S8 is close to flawless. It has the fewest compromises of any device I've used. Aside from the oddly placed fingerprint reader, the S8 is a svelte head-turner that finely balances form, function, and raw emotion. The S8's display is eye-popping. 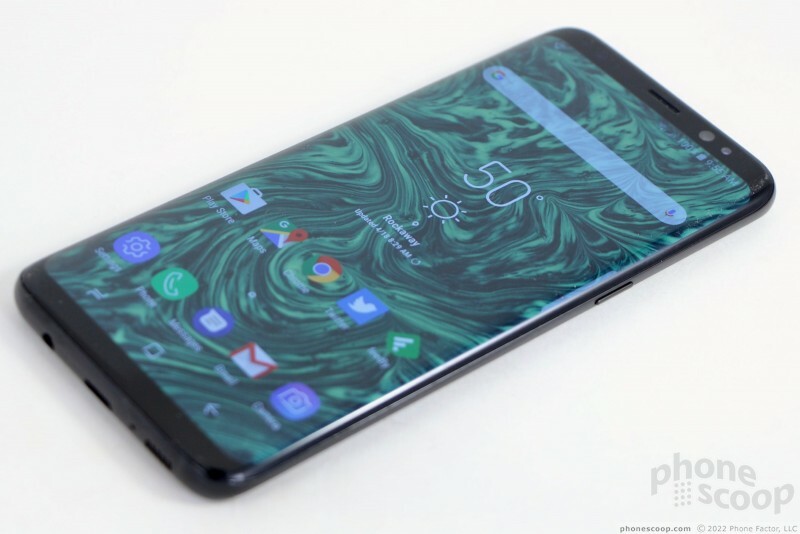 Similar to the LG G6, Samsung has adopted a new aspect ratio for its flagship phone. 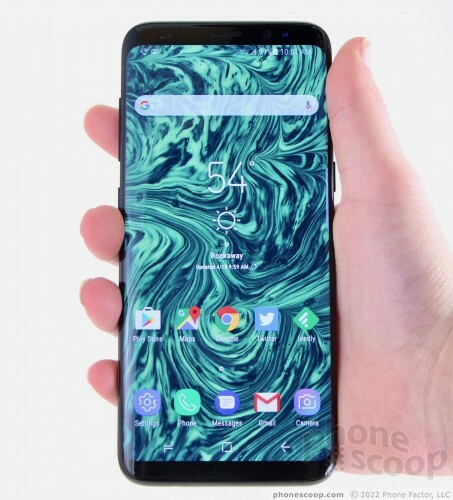 Where LG went with an 18:9 (or 2:1) ratio, Samsung went with an odd 18.5:9 ratio. It's nearly 2:1, but slightly taller. 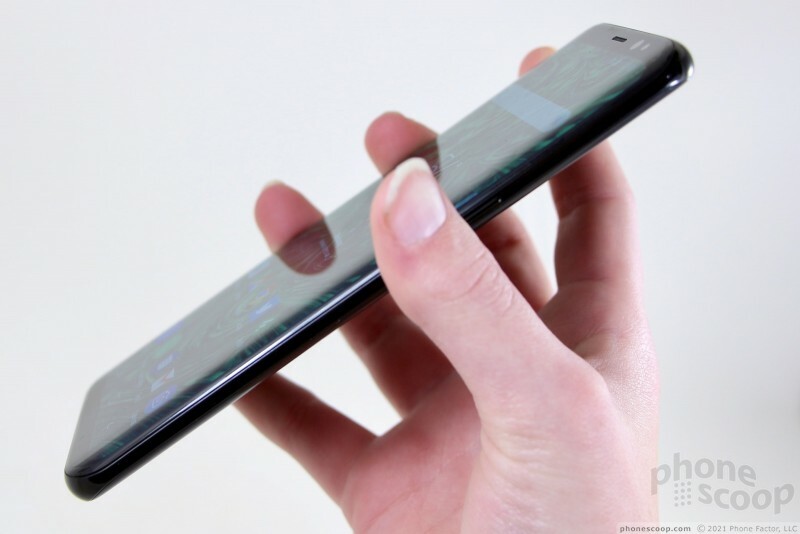 The screen measures 5.8 inches across the diagonal, with 2,960 by 1,440 pixels. Of course, the phone relies on a Samsung-made Super AMOLED display. The aspect ratio makes it look tall and narrow, and it is. The display also supports mobile HDR video for incredible color range. This "Infinity Display" is infinitely appealing. It's just amazing. I can't heap enough praise on it. The resolution is second-to-none and the S8 delivers razor-sharp text, images, and graphics. The display is very bright and easy to use indoors and out. Viewing angles are just okay; brightness levels remain good when the phone is tilted side-to-side, but there's a noticeable blue shift which I didn't care for much. You can control the resolution. Samsung allows S8 owners to choose between three resolutions: 1,480 by 720 pixels, 2,220 by 1080 pixels, and the display's full 2,960 by 1,440 pixels. Out of the box, the phone is set to the middle option, which Samsung calls Full HD+. The middle option is only slightly less amazing than the phone's full resolution. The benefit of choosing a lower resolution is better battery life. The full resolution (Quad HD+) is outstanding when it comes to virtual reality content. I checked out the S8 with both Samsung's new Gear VR headset and Google's Cardboard viewer. The Gear VR knows what to do with the S8's extra pixels and the excellent VR experience is just one of many reasons why the S8 is so good. The size, shape, and resolution of the S8 also help with running two apps at the same time, in split-screen mode. I tested the Galaxy S8 on T-Mobile's network in and around New York City and came away impressed. Samsung is selling one U.S. model with wide support for the major carriers' LTE bands, (though it is possible that carrier-branded models may not have all the bands enabled.) Notably, the S8 supports T-Mobile's new Band 66 service. 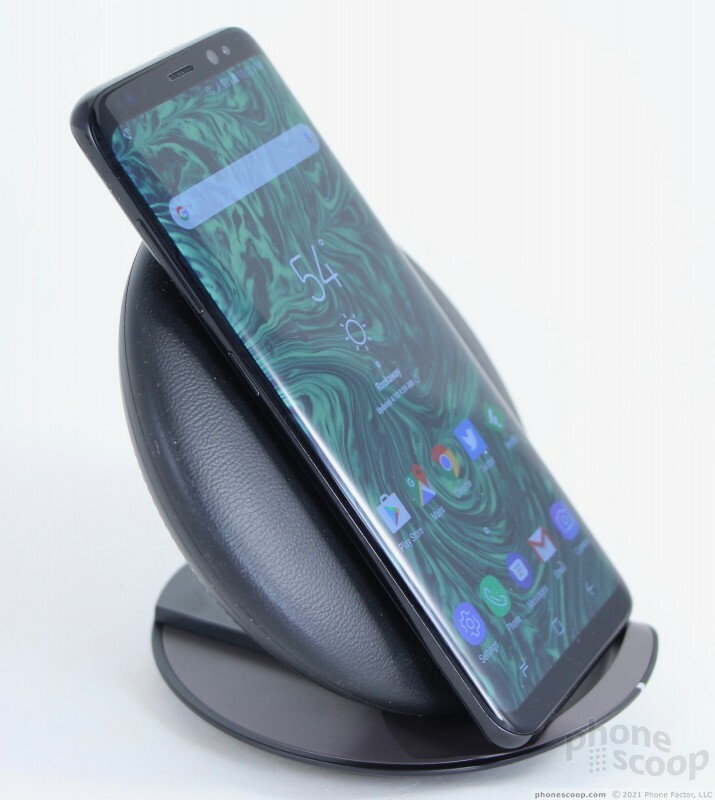 The S8 always remained connected to the network, whether the signal was strong or weak. The S8 did particularly well when I attended a packed concert venue in NYC. The phone delivered blazing fast speeds, allowing me to upload photos and videos to Instagram even though I was in a room full of thousands of people. Streaming music from Spotify and video from YouTube didn't present any challenges for the phone. There were no hiccups. 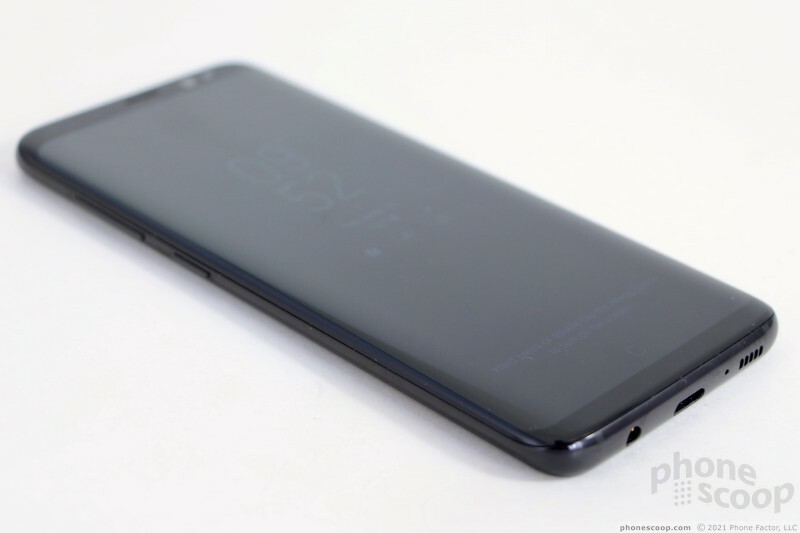 Facebook, Twitter, and email updates flew to/from the S8. Data never disappointed while I reviewed the phone. 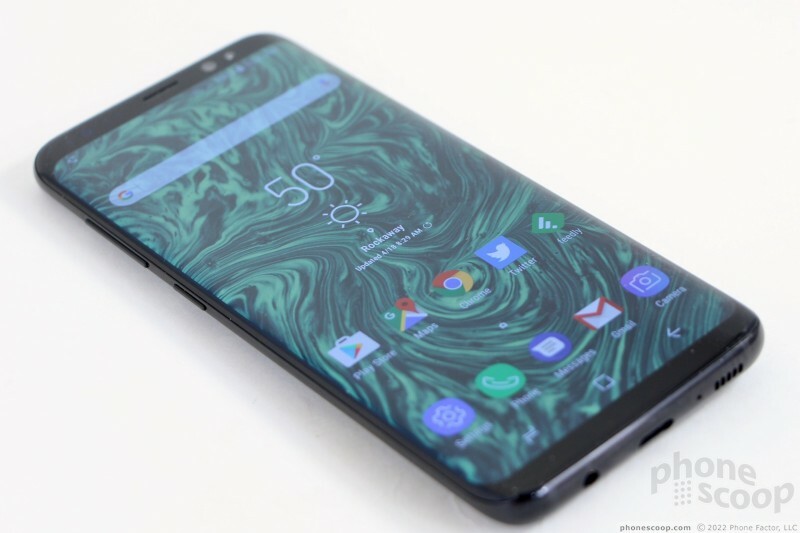 The S8 was able to connect all calls on the first dial. It maintained calls over long distances at highway speeds, and didn't drop any calls while I tested it. The cellular radio does its job well. 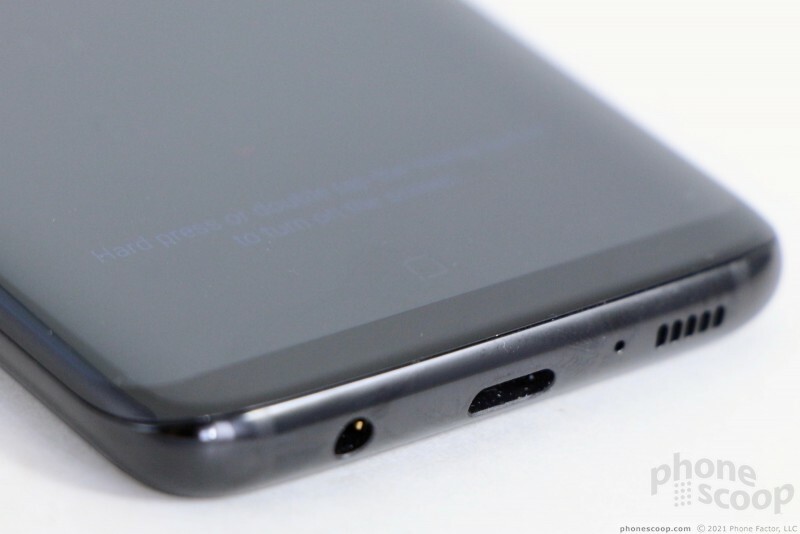 Phone calls made via the S8's earpiece sounded very, very good. I'd rate calls as above average when compared to other phones I've tested on T-Mobile's network. The earpiece delivers clear, loud voices that have a pleasing tone. The little speaker in there pushes enough air into your ear canal to ensure calls are audible in a range of environments. I didn't have any trouble hearing calls even with a leafblower raging next door and loud music in my office. I was impressed; you probably will be, too. People I spoke to through the phone said I sounded great. The S8 supports WiFi calling. Setting this service up hardly takes more than a few seconds (as long as your carrier supports it) and delivers a small but noticeable upgrade to audio quality. If you can make calls over WiFi, you'll appreciate the improved clarity. The speakerphone isn't quite as impressive. During my tests I found I could keep the volume at about 60% for quiet, indoor use, but outdoor noisy spaces require you to crank it up all the way. Quality suffers at the loudest volumes thanks to gargling, unattractive distortion. Ringers and alerts are loud enough to get your attention, and the vibrate function always made me take notice. I love that you can control vibration intensity and even select from a dozen or so different vibrating patterns. I wish the phone had stereo speakers. However, the phone ships with a pair of specially -tuned AKG earbuds and, believe it or not, they work pretty well. They're nothing fancy, but the included software lets you tweak the sound enough that I would consider using the AKGs in a pinch, were my favorite buds missing or busted. Coming from me, that's high praise. Battery life may be borderline for some people. The S8 includes a non-removable 3,000 mAh battery and a lot of battery-saving technology. I did get through an entire day consistently over the course of a week, but the phone was close to its last legs on several occasions. Under normal use, with brightness and resolution set to the middle levels, you should easily cruise through a day with some power to spare. I put the screws to the phone for half a day in NYC while sightseeing and used the S8 to take hundreds of pictures, shoot video, find lunch spots in Google Maps, and more. I still had plenty of battery capacity left when I returned home. The phone pushed through 14 hours of intense use, though it was down to about 15% by the time I was ready for bed. I truly gave it a good run and it got the job done. (Certain uses like VR drain the battery much faster, but that's true of any phone.) As the battery ages, it may lose some capacity. Even then, I think I'd safely get through a full day. The S8 includes three different power-consumption modes: off, mid, max. The off tool means you're not employing any sort of power-savings features, while mid reduces some behaviors and max really restrains the phone. Moreover, each mode can be customized to a certain degree (tweak brightness, CPU output, notifications, etc.) so you get exactly what you want/need out of them. That's cool. You can also take control of individual apps to make sure they aren't draining power in the background. The S8 supports Quick Charge 3.0 and rapid wireless charging. When plugged into the included wired charger, I found the S8 charged from 30% to 100% in 75 minutes. Wireless charging took only a little longer using Samsung's rapid wireless charging pad. It feels quick either way, and a short 15-minute charge pushes about 35% into the battery. 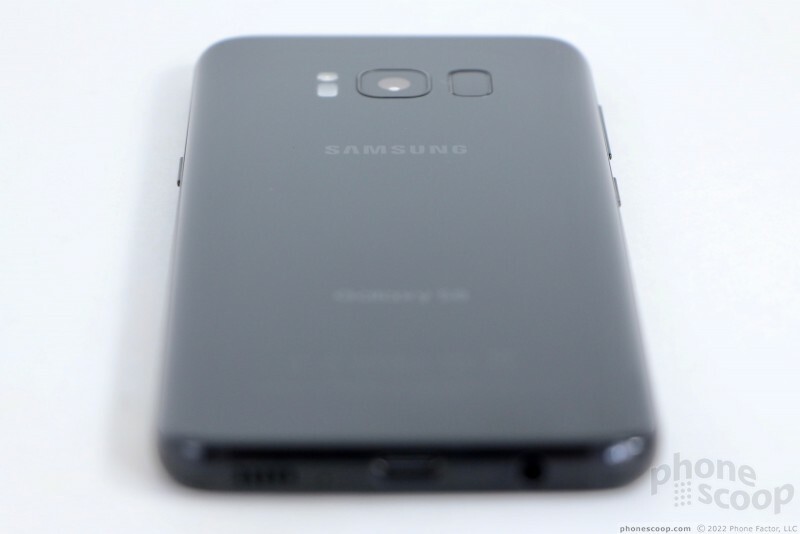 The Galaxy S8 is one of the first phones to ship with Bluetooth 5.0 on board. That doesn't mean a whole lot for most people right now, but it doesn't hurt. 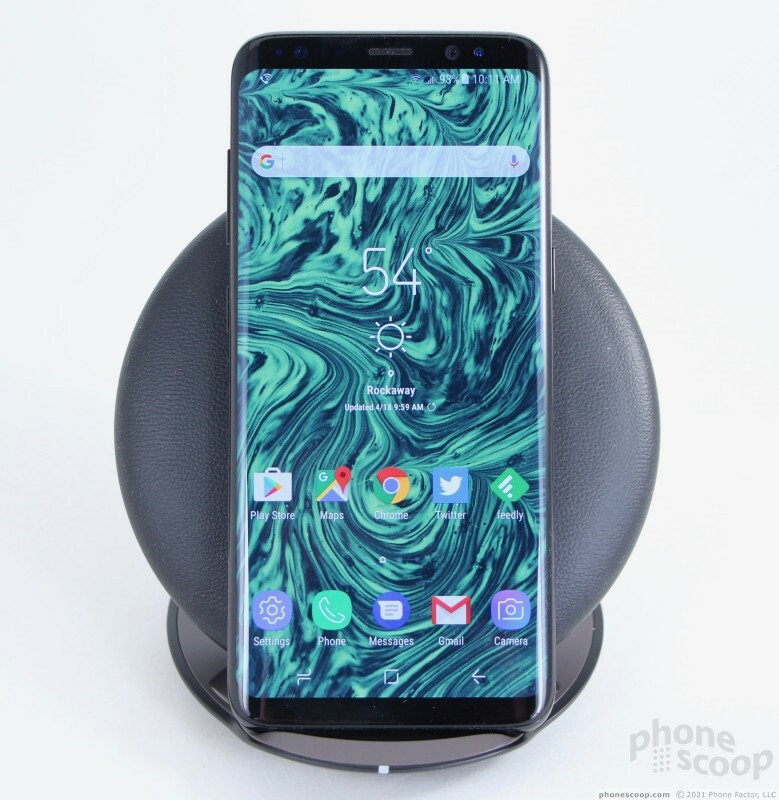 The S8 is compatible with all of the Bluetooth devices you're likely to encounter, including phones, cameras, headsets, speakers, PCs, and other accessories. The S8's Bluetooth software made pairing with a variety of devices a simple, painless process. I didn't encounter any trouble with it. Calls sent to mono headsets sounded very good, while calls routed to my car's hands-free system were just ok. Music pushed to a stereo speaker sounded excellent. Of course the S8 includes GPS and the location-enabling radio worked perfectly with Google Maps and other apps. Maps was able to pinpoint me in several blinks of an eye, and location was as good as 10 feet. The S8 makes for a fine navigation device via Maps, Waze, or the voice-guided app of your choice. 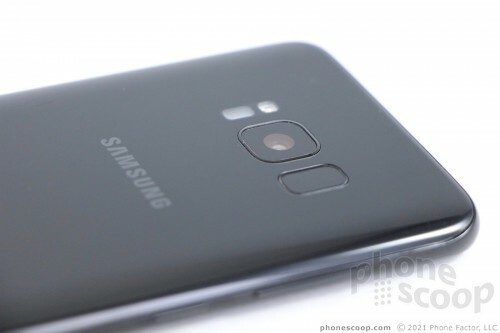 The S8 ships with Samsung Pay, which is one of many apps that can take advantage of the NFC radio. NFC is also compatible with Android Pay. I mostly used the NFC radio to assist in pairing with Bluetooth accessories. To that end, it worked perfectly. Last, the Galaxy S8 packs 802.11a/b/g/n/ac WiFi in both the 2.4 GHz and 5 GHz bands. This means the S8 is compatible with a wide range of WiFi access points for the best speeds. I had no trouble at all with the S8's WiFi. The S8 is Samsung's flagship phone for 2017, and it combines absolutely every idea Samsung has ever come up with for a high-end phone, plus a couple of new ones. 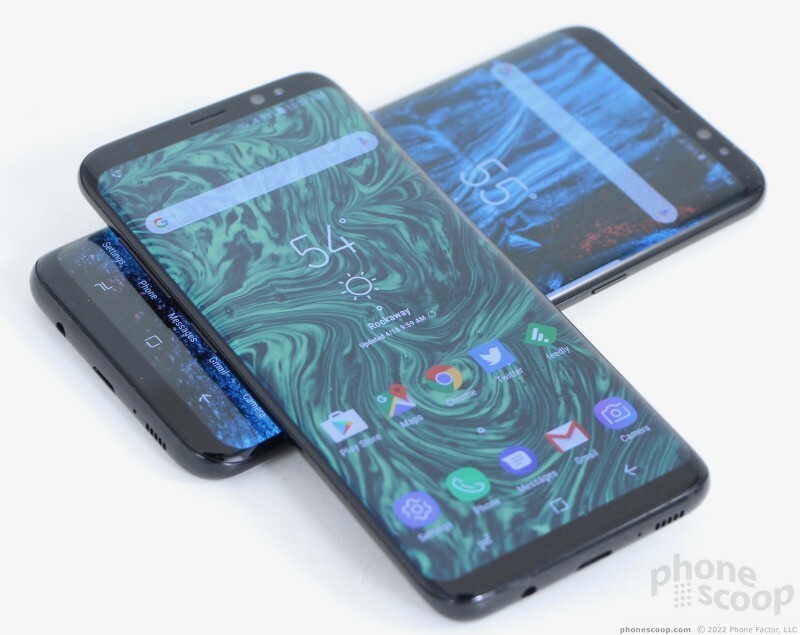 From the extra-tall curved display to the iris scanner, to a new voice assistant, Samsung is throwing down the gauntlet. Samsung's new virtual reality headset adds a controller, which dramatically helps improve usability. Together with a Galaxy smartphone, the Gear VR and controller will allow you to dive headfirst into exciting virtual worlds.